This non-kayaking itinerary is Baja whale watching at its best, and perfect for youth 6+ or adventurers who prefer not to paddle. The 8-day itinerary includes 4 days at our very special, safari-style gray whale basecamps in the heart of Magdalena Bay. The whales in these lagoons have become "friendly" with boat operators and tour guests, and so babies will often come right over to see the people looking at them. Our basecamp is located on the mouth of Magdalena Bay's exit to the sea, and gray whales like to hang out in these deep waters. Consequently, we are privileged to see whales right off shore from our campsite quite regularly. This greatly increases the "whale time" for our guests, as whale watching by boat is regulated by time and duration for all companies. When you've had your fill of looking eye-to-eye with charming whale babies, we'll cross to the other side of the peninsula in the Sea of Cortez for two day tours exploring the waters of Loreto Bay National Marine Park in search of the largest animal on Earth: the blue whale. These whales are normally deep-ocean creatures, so this part of the Sea of Cortez offers a rare opportunity to find them near shore. Most human beings never have a chance to encounter them! Up close encounters with California Gray Whales, and a chance to glimpse the great blue whale, which is the largest animal ever found on planet Earth! 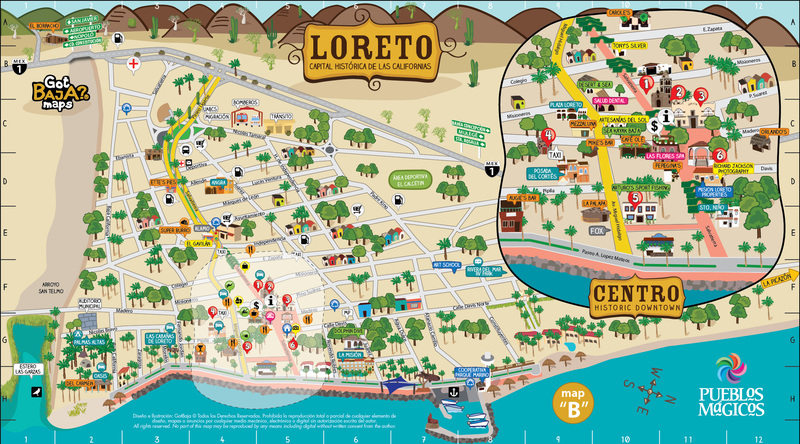 Upon your arrival in Loreto take a quick cab ride to the tour hotel and check into your pre-assigned room (included in trip cost). You are free to spend your afternoon exploring lovely Loreto. Tour the historic Mission located in the center of town, stroll through the local market and dine on authentic Mexican cuisine before your evening orientation meeting in the hotel lobby. After an early breakfast on your own, you will meet early at the Loreto Marina to prepare for a fun, thrill-of-a-lifetime day on Sea of Cortez watching blue whales cruise the waters of Loreto Bay National Marine Park. Words cannot describe the incredible experience of witnessing a 100-foot blue whale surfacing near your 25-foot boat, its blow is 25 feet high and its tail is the width of a 747 tail section. You will stare gap-jawed when the massive tail comes out of the water as the whale prepares to dive. Blue whales are the largest animal to ever inhabit the earth, with a body mass equal to 24 elephants and a mouth that could swallow a railroad box car. They cruise the local waters near Loreto searching for tasty krill. Fin and humpback whales are also seen in these waters, along with dolphins and other marine mammals. You will spend most of the day on the water but a picnic lunch is also provided. Meet in the morning at the tour hotel, where your group will be picked up in a large, air-conditioned van. You will be transported across the peninsula to the Pacific coast and the tiny, seaside town of Puerto Lopez Mateos on Magdalena Bay. Our base camp is located on a sandy barrier island at the heart of whale activity, and you'll go whale watching for two hours in a federally-regulated skiff. After lunch, you'll have a chance to settle into camp before hiking across the dunes to the Pacific ocean. Sleep in roomy, full-height canvas tents on comfortable cots. The finest Baja whale watching is combined with hiking sand dunes, combing beaches, building castles, watching birds, spotting dolphins on the ocean, or relaxing to the sounds of breathing whales offshore. Twice a day you will take a motorized stiff into the bay for two hours of close encounters with gray whales, leaving ample time for exploration of the area and relaxation. All meals will be freshly prepared from scratch by our fantastic guides and chefs, and coffee and tea will be ready first thing in the morning. Happy hour and hors d'oeuvres will greet you after your afternoon whale time. You can also enjoy skiff birding tours into the mangrove areas, or part whale watching, part birding sessions. After waking up once last time to baby whales splashing off shore, a hearty breakfast will start the day right for your last whale watching session in Magdalena Bay. You will return via skiff to Puerto Lopez Mateos for lunch, and then board the van for transport back to Loreto. Enjoy warm showers and clean clothing, followed by a Farewell Dinner with your guides (not included in the trip cost). Enjoy real beds once again in the tour hotel. A final breakfast and perhaps some shopping time in town will precede your trip back home. Have a smooth flight, and be sure to send us pictures of your Baja whale watching adventure! Single Supplement: If you are a solo traveler and wish to have your own hotel room in Loreto (or if we are unable to pair you up with another solo traveler), an additional single supplement of $240 USD is required. Solo travelers will typically have their own tent at whale camp, at no additional cost. However, we are unable to guarantee individual tents at whale camp due to limited tent capacity. If you are asked to share a tent at our whale camp, rest assured that tents are very spacious, full-height canvas wall tents, with two cots and plenty of room to stand and maneuver around your tent-mate without difficulty. On our gray whale base camp tours, we GUARANTEE whale sightings. These tours offer one of the most spectacular, up-close encounters for wild whales on the planet, as these gray whales have become "friendly" and curious towards humans. With 4 days and 3 nights at camp, surrounded by whales in the lagoon and visiting them respectfully by skiff, you will have a unique opportunity to interact with these gentle giants. 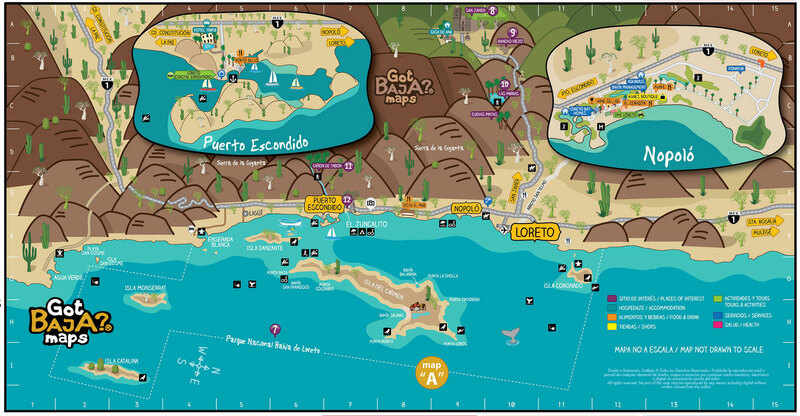 When you visit the Sea of Cortez for your snorkel tour and Blue & Fin Whale tour, you will be taken by panga throughout the Loreto Bay National Marine Park. The channel between the islands that make up this Park is called the "Blue Whale Corridor" due to their relative frequency in this area. Blue whales are typically pelagic (deep ocean) animals, so the Sea of Cortez offers a rare opportunity for humans to glimpse them. Considering that there are fewer than 10,000 blue whales alive (less than 5% of their pre-whaling numbers), the regularity we see them in Baja February-April is astonishing. However, they are often solo travelers and their patterns are yet unknown, so they are not always within motorboat distance of Loreto. If you don't see a blue whale, you have a high likelihood of encountering the second largest animal on Earth, the wonderful fin whale, as well as other whales such as humpbacks. Dolphins are also frequent sightings in the Sea of Cortez. Our tour costs are based on double occupancy on any included hotel nights. Solo travelers who would like their own single hotel room can pay a single supplement or can be matched up with another solo traveler of the same gender if one is available and willing to share. If we are unable to pair you with another solo traveler, we must apply the single supplement charge to cover our hotel costs. Solo travelers will typically have their own tent at whale camp, at no additional cost. However, we are unable to guarantee individual tents at whale camp due to limited tent capacity. If you are asked to share a tent at our whale camp, rest assured that tents are very spacious, full-height canvas wall tents, with two cots and plenty of room to stand and maneuver around your tent-mate without difficulty.